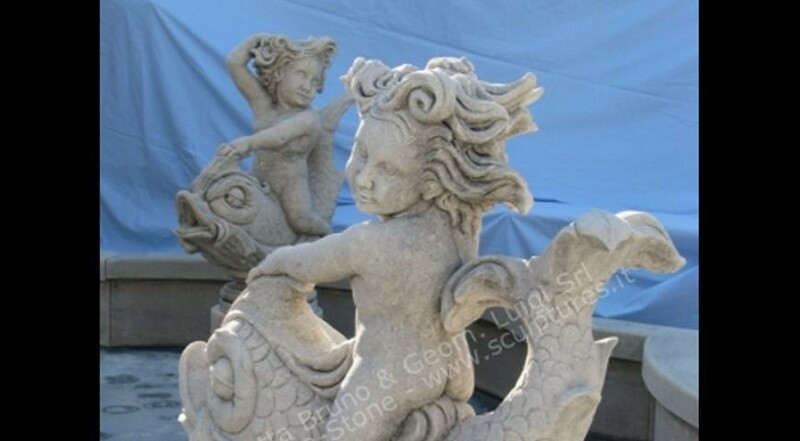 A cherubs crafted on a dolphin, hand carved sculpture designed by our sculptors. The carved dolphin is drilled for water and is placed on a round elegant base. Sculptures has an Italian baroque style. We use these element around coping, or simply around a swimming pool for a nice water effect. Originally pieces was in an antique Palladio Villa near Asolo - Treviso area -, another important and great place with several antique Villas with relative statues, fountains and garden ornaments all around.